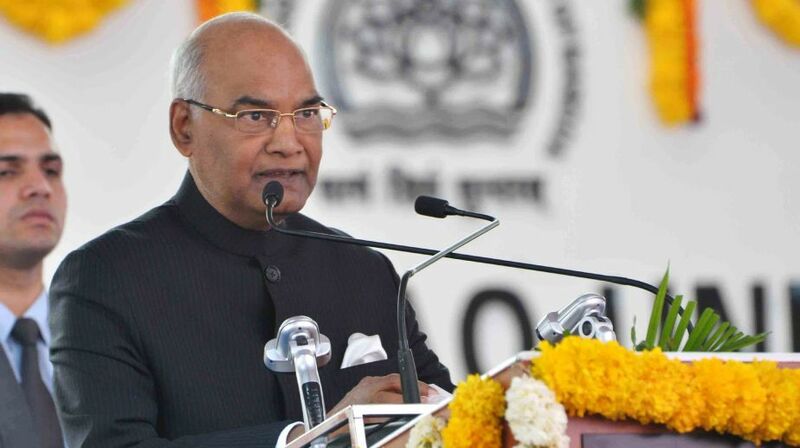 The Centre is “serious” about the implementation of its Act East policy, President Ram Nath Kovind said today, after dedicating to the people the revamped national highway connecting the Tripurasundari temple in Gomati district and Sabroom in South Tripura district. The 73.71 km-long highway, which was a single-lane stretch so far, was recently widened for two-way traffic. Kovind, who arrived here this morning on a two-day visit to the state, said the road would improve the connectivity between South Tripura district and the Chittagong port in Bangladesh. “The road would lead to an under-construction bridge on river Feni in Sabroom (along the India-Bangladesh border). Once the bridge is functional, Tripura would be connected with Chittagong,” he said in his address to the people here. The Centre is making sincere efforts to develop the state as well as the entire northeastern region, the president stated. “The NDA government is keen on initiating development projects in the northeast. In Tripura alone, roads spanning 500km are being constructed at a cost of Rs 6,000 crore,” Kovind said. Asserting that the road projects would bring people “closer”, he recalled that the distance between Agartala and Kolkata, which was around 500km via Bangladesh, became 1,700 km after partition in 1947. The president also lauded the Tripura government’s welfare initiatives in the state. “Without the development of backward communities, a country cannot make progress,” he claimed. The tribal community in Tripura has produced many athletes who have made India proud with their achievements, Kovind said. “Ace tennis player Somdev Debbarman, Indian idol Souravi Debbarman, national women football player Laxita Debbarma, gymnast Dipa Karmakar have earned laurels for the country,” he added. Chief Minister Biplab Deb and Governor Tathagata Roy also addressed people at the programme today. The Tripura government believes in the mantra of “Sab Ka Saath Sab Ka Vikash” (together with all, development for all), the CM said. “Prime Minister Narendra Modi had shown Tripura a new direction when he asked people to adopt HIRA – H for highways, I for Internet-ways, R for roadways and A for airways,” he said. Roy, on his part, said the northeastern region had remained neglected until the NDA government came to power. 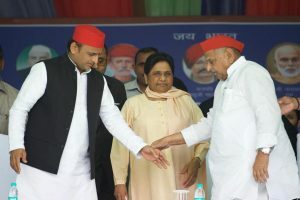 On this occasion, the president also offered prayers at the Tripurasundari temple, one of the 51 Shakti Peeth in the country, and laid the foundation of ‘redevelopment of the Matabari temple complex’. In the evening, the state government was scheduled to offer a civic reception to the president, who would be declaring the ‘queen variety of pineapple’ as “state fruit”.